"A number of outstanding performances were held in 2018 which deserve recognition but they must be nominated to be eligible to contest for one of the awards." The closing date for nominations for the SP Sports Awards is this Friday, March 22 and the organizing Committee is encouraging people not to miss it. Chairperson of the organizing committee, Andrew Lepani called on the public to reward their sporting heroes and champions by nominating them for one of the categories on offer. Nominations for all the 11 categories on offer have been steadily coming in since the launching of the Awards on January 5 this year and the organizing committee is confident that more entries will be received near to the closing date. A number of outstanding performances were held in 2018 which deserve recognition but they must be nominated to be eligible to contest for one of the awards. Following the close of nominations a selection panel will meet to scrutinize and select three finalists for each category. Out of these finalists will be one winner for each category. 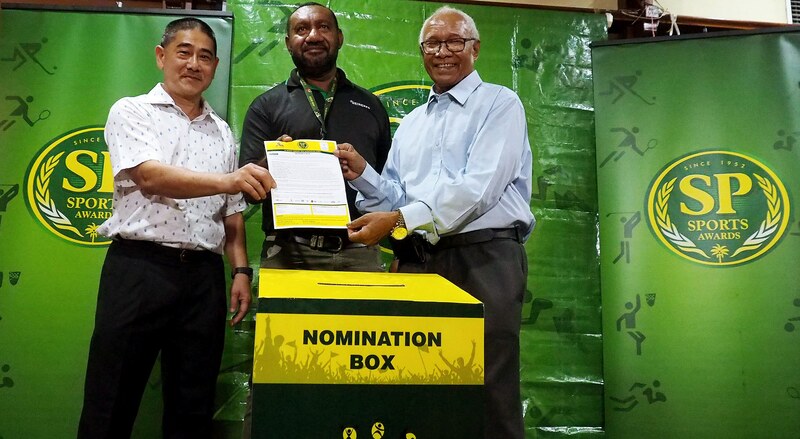 Nomination forms can be collected from the PNG Olympic Committee office at Lahara Avenue,Boroko, at the PNG Sports Foundation Office in the Sir John Guise Indoor Complex or downloaded from the SP Sports Awards Facebook Page and PNG Olympic Committee website.